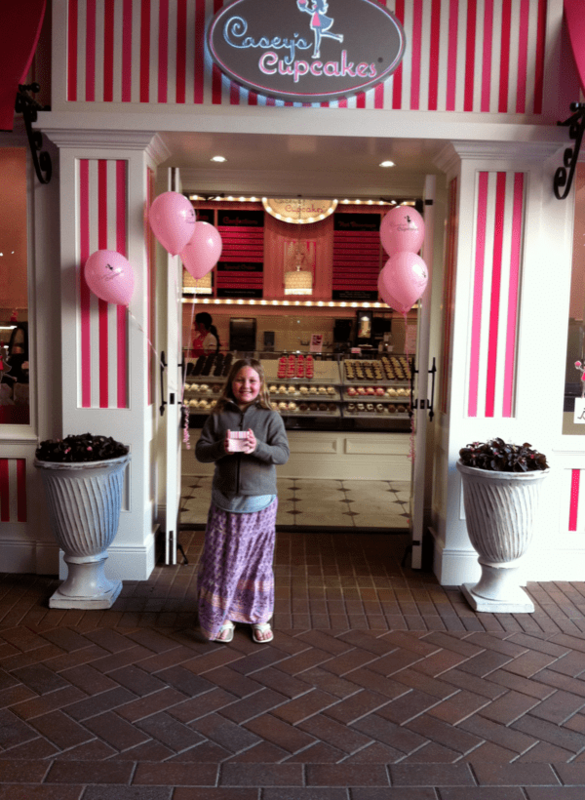 I had to write about this adorable cupcake store that my daughter and I found while visiting Southern California. Baker, Casey Reinhardt, was a winner of “Cupcake Wars” and she’s done really well since. She’s opening her third store in the area. Her cupcakes were beautiful. 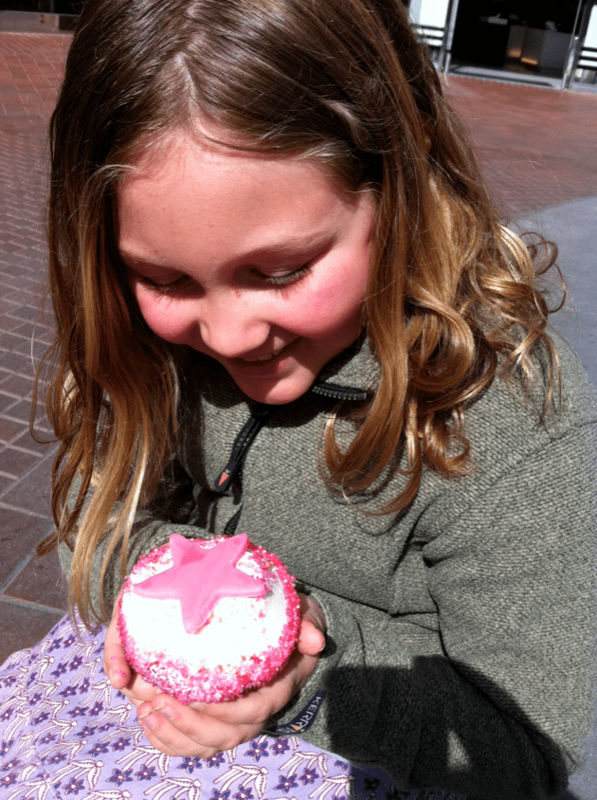 This is my daughter “eyeing” her sweet treat. 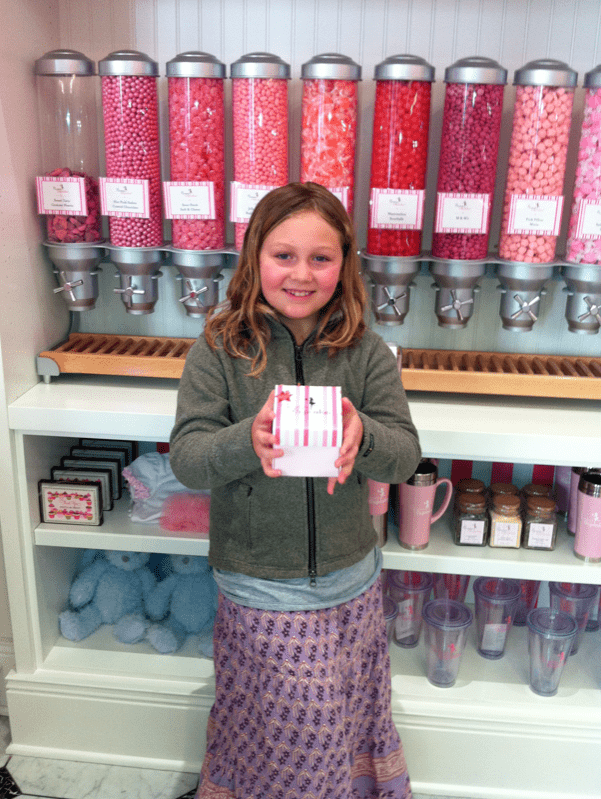 I love how Casey did her shop, all in shades of pink and white. There’s even a candy dispensers. Umm. Even the boxes were cute! This shop was totally inspiring, and the cupcake was delicious. If you happen to be near Fashion Island in Newport Beach, it’s worth a trip.